1) It’s fun. It really is! 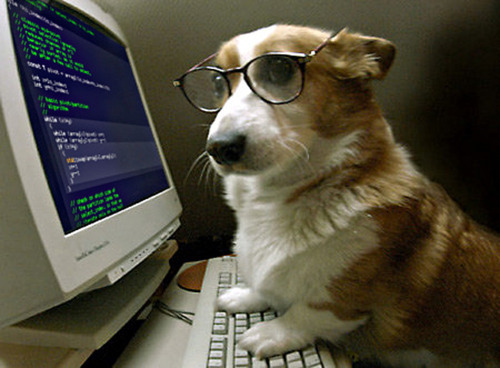 Coding is all about solving problems. It’s about breaking things down to their constituent parts and building them back up again. It can be challenging. Just like learning a new language or putting together a puzzle. Except that with coding, you are putting together a puzzle that will allow you to talk to computers (and tell them what to do). 2) Bring your ideas to life. Coding is powerful because it allows you to make your ideas a reality. Say you’re an amateur mushroom enthusiast who just moved to a new city and wants to meet up with fellow mycophiles. There’s no app for that (at least not as far as we know). But you can make one! You could make an app that finds you the closest hang gliding location or one where you can trade half-finished knitting projects. Whatever you decide to make, however you decide to use the super power that is coding, the important thing is that it’s yours. You’ll be shaping the products that you—and others—are using. 4) Tech is a universal language. Computer programming is a language (well, actually, it’s a bunch of languages) that is spoken all over the world. We may think of Silicon Valley as the capital of coding and in many ways it is. But tech is everywhere and there are other hubs sprouting up all over the place, from Nairobi to Bangalore and Stockholm, Austin to Buenos Aires and London. You may not be able to speak Swedish or Spanish or Kannada (the language they speak in Bangalore), but if you can code you can communicate with programmers from around the world. They don’t call it the world wide web for nothing! As a woman, learning to code is more than just fun. It’s more than just a career move. By learning to code, you’re also shattering the stereotype of the over-caffeinated young white male computer programmer. You’re joining a vibrant community of women coders (including hundreds of Hackbright fellows and alumnae) who are creating apps, solving complex technical problems, and pushing back against a set of stereotypes we all know are wrong. You’re also setting an example for the next generation of female computer programmers and scientists and mathematicians. …So, are you ready to begin?! 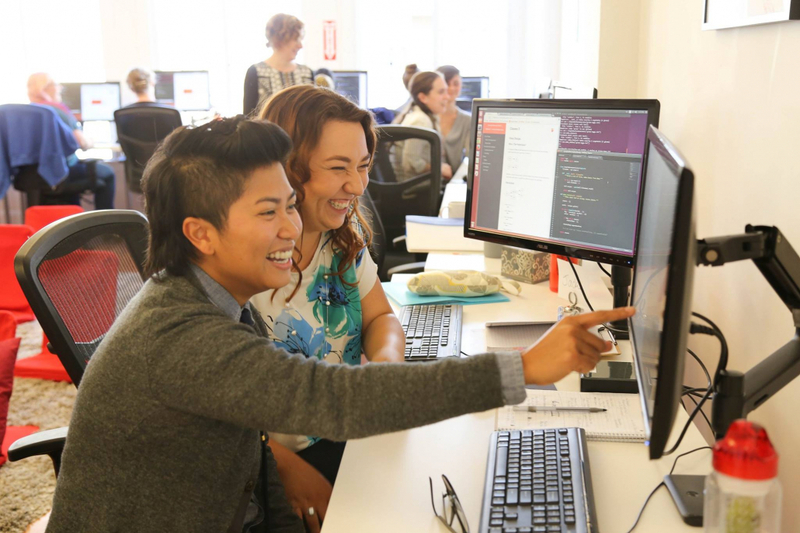 To get started, check out Hackbright Academy – the leading engineering school for women in San Francisco dedicated to changing the ratio of women in the tech industry. Learn more about our full-time 12-week software engineering fellowship at our upcoming Info Session on July 13! RSVP to join us in person or remotely.